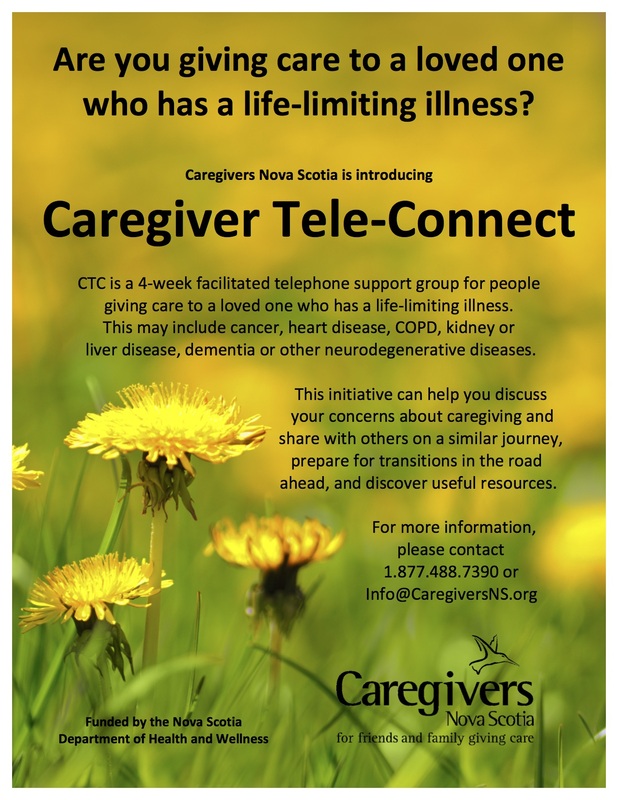 Caregiver Tele-Connect (also known as CTC) is a unique initiative aimed at supporting caregivers who are looking after someone with a life-limiting illness. To learn more, please choose an option from the menu on the right under Caregiver Tele-Connect (CTC). To print the poster below, please click on it. Are You An Unpaid Caregiver? 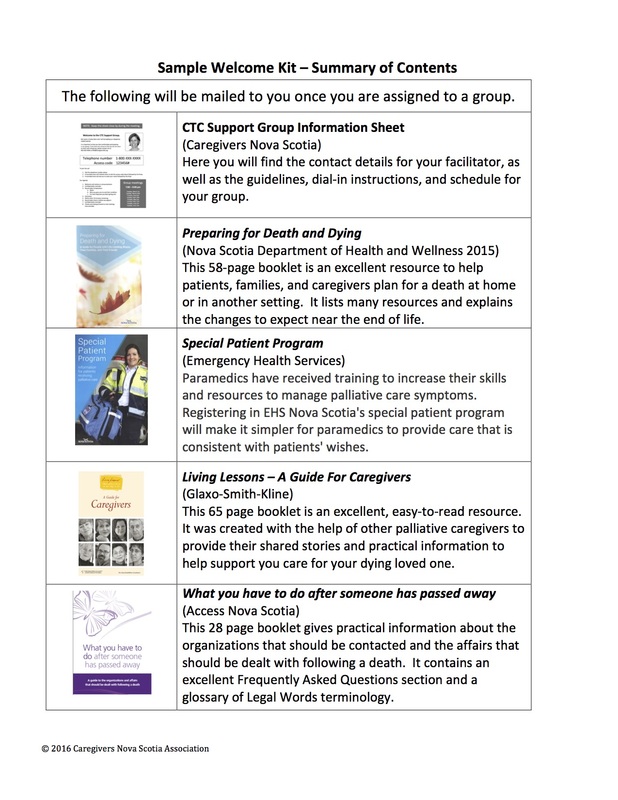 Caregivers Nova Scotia provides programs, services, and strong advocacy for caregivers. With ongoing support from our funders, Board of Directors, allied organizations, volunteers, and caregivers themselves, we're dedicated to providing recognition and practical assistance to friends and family giving care. Click the button below to subscribe to our semi-annual newsletter, our workshops and event notifications. Please do not hesitate to contact us if you see any errors, omissions or you have any comments and suggestions.